Love to read? Having trouble reading? Try reading with a friend! 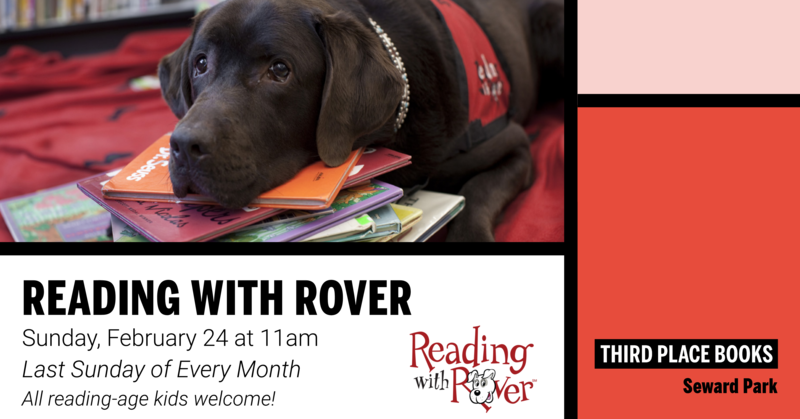 Join us on Sunday, February 24 at 11am at our Seward Park location for a special visit from our canine (and human) friends from Reading With Rover. Reading With Rover is a free program for reading-age children that is hosted at Third Place Books Seward Park on the last Sunday of every month.